If you’re a Mac OS X user, some of these tips might come in handy for you if you notice your Mac running a little slow and will help speed up Mac OSX. Most newer hardware doesn’t have any problems running the latest versions of OS X, but if you’re like me, I always like to tweak my system for optimal performance. I don’t like unusual slowdowns and I don’t need fancy animations. These tweaks are easy to make since they’re all available in settings, so give them a chance and see if you can notice a difference. Let me know if they help speed up your system or if you have any other suggestions. I’ve posted a few suggestions for speeding up Windows, so most of these are equivelent to those. 1. Open up System Preferences. 3. Place a checkmark next to Reduce Transparency. This simple setting can make a huge difference in speed, especially on older machines with older graphics cards. In this same menu you can also try checking the box for Increase Contrast which will make folders and icons more visible. While Google Chrome is a great browser and many people use it across different platforms, on OS X it tends to use a lot of resources and can drain your battery faster. You’re better off sticking with the Safari browser most of the time. While the new Notification Center is a great feature, it is also important to disable widgets you’re not going to use. This will free up valuable resources. 1. 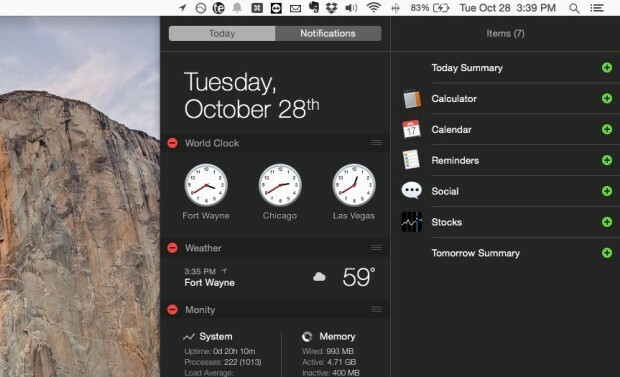 Click on the Notification Center icon all the way in the upper-right corner of the screen in the menu bar. This open up Notification Center. 2. Click on the Today tab if it isn’t there already and then click Edit down at the bottom. 3. Click each of the red delete buttons next to each widget to remove them from the Notification Center. 4. Click Done at the bottom to save the changes. This is one I always change on my Windows computers since it just adds a fancy window animation. 3. 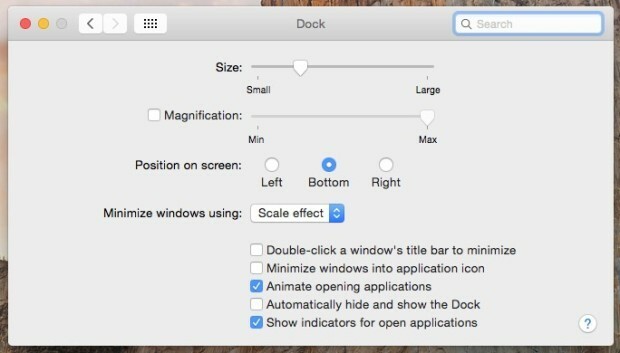 Find Minimize windows using and change it from Genie effect to Scale effect. All My Files is a smart folder that uses Spotlight to access any and all files owned by the current user. This can be great, but it can also slow down the generation of a new Finder window on some Macs. 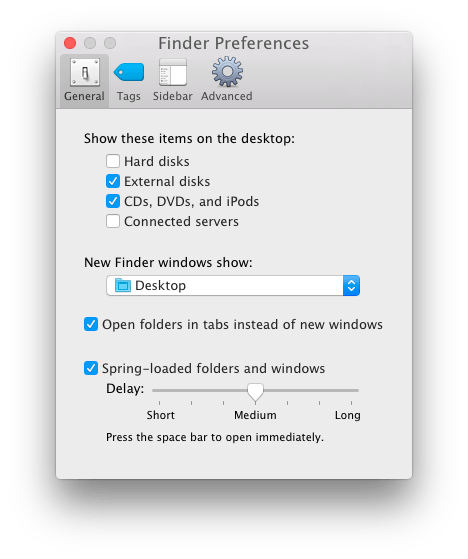 Changing the new Finder window to a static folder can help that speed. 1. 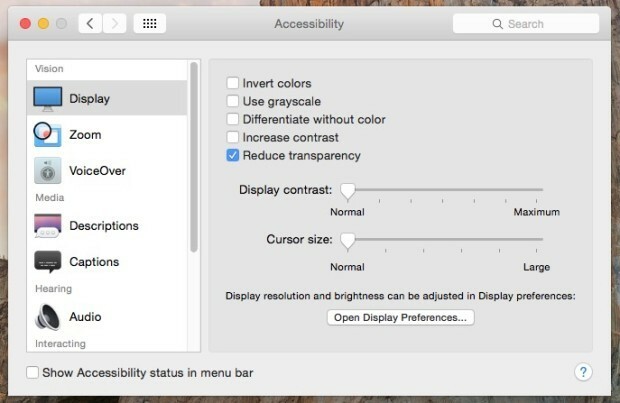 Pull down the Finder menu and choose Preferences. 2. Set the New finder windows show to Desktop or Documents or your user home folder. story. I was surprised that you’re not more popular since you certainly have the gift.